The birth place of renowned Maratha King Chhatrapati Shivaji, Shivneri Fort is located near Junnar in Pune district of Maharashtra. The fort which dates back to 17th century used to be a military bastion. Chhatrapati Shivaji’s father was a general to Sultan of Bijapur. He built this fort to protect his pregnant wife from constant warfare in that time period. Thus Shivaji was born in Shivneri Fort. Perched on a hill top Shivneri Fort is visible all the way from Junnar town itself. From 1716 to 1820, the place was controlled by Maratha Empire. From 1820-1947, the place got under the control of British Raj, and after 1947 till now the place is under the Government of India. It was built in 1630 by Shahaji Raje. The presence of habitation can be acknowledged from the caves, the rock-cut architecture and the water system. It is believed that the place was dominated by the Buddhists under their rule in 1st century A.D. Shivneri was basically under the possession of Yadavas and Devagiri and that’s where it got its name from. According to the accounts of the English traveler Fraze, who visited the fort in 1673, the fort was ruled by a person who was once a Muslim and then a Brahmin. The rule of Mughals didn’t last much and so the fort was taken aback by the Marathas and Shahu. One can see the fort is well protected by steep rocky terrain on four sides. Inside the Shivneri Fort, there is a small shrine for Goddess Shivaji Devi, from whom the Maratha King got the name Shivaji. In the center section of the fort, we can come across water pond. 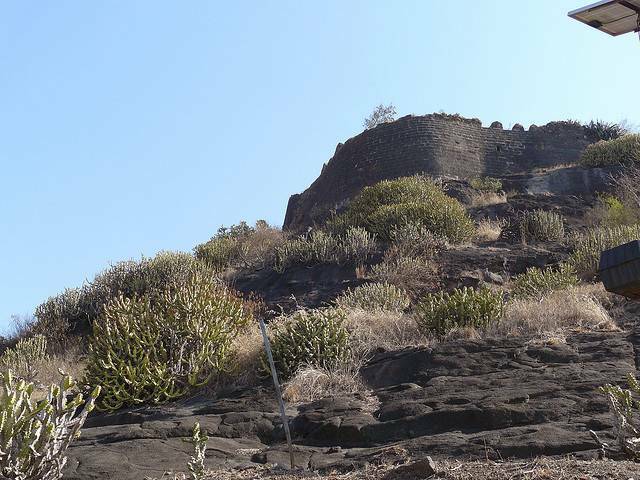 We can also see the statues of Shivaji and his mother Jijapai in southern part of fort. Also the two water springs namely Ganges and Yamuna inside the fort are perennial. Shivneri Fort is a nice day trip option from both Mumbai and Pune. Malshej Ghat is only 28 km further from Shivneri. MSRTC also operates Volvo bus service to this town from major cities of Maharashtra.